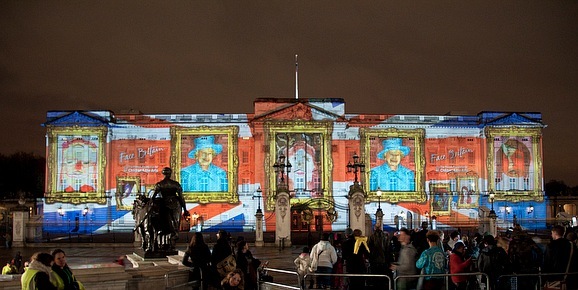 32 animated mosaic portraits of HM The Queen, created by Mazaika.com were projected onto Buckingham Palace. Mazaika.com was commissioned to create mosaics for Face Britain project running by The Prince's Foundation for Children and the Arts. Face Britain celebrates the UK's children and young people in the run-up to HM The Queen's Diamond Jubilee and the London Olympic and Paralympic Games. The event took place on April 19th – 21st 2012 in London. 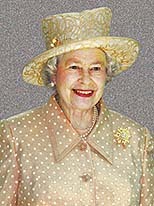 201,948 children self-portraits have been collected to create the mosaic picture of the Queen. 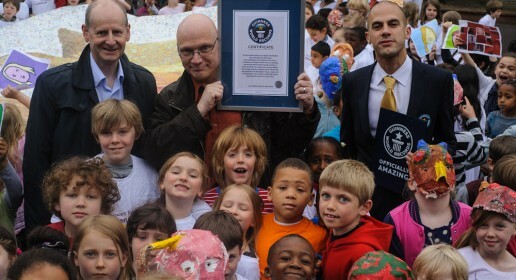 The video montage of the 32 portraits has achieved the Guinness World Records title for "most artists working on the same art installation", that is the most artists working on the same art installation. With Mazaika software we made 32 mosaics, 80 rows by 80 columns each, combining only unique images. Using our specially developed program, these 32 mosaics were converted into 32 minutes animated video where one mosaic gradually transits into another. The transitions were intended to show how the individual self-portraits making up each mosaic flying together as they formed onto the facade of the Palace. High-resolution one-minute clip. The whole projection was composed of 32 clips like that. 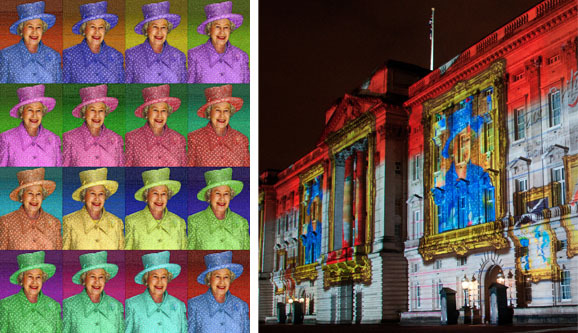 Ross Ashton, artist and projection designer, create an overall image combining the animated mosaic Queen's portraits with a series of animated backgrounds and other picture frames. 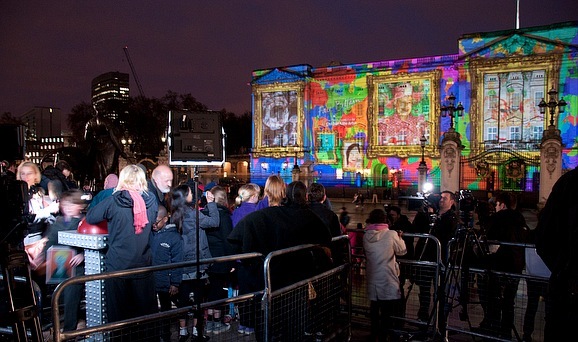 The overall image projected over the whole facade of Buckingham Palace was 110 meters wide and 25 meters tall. 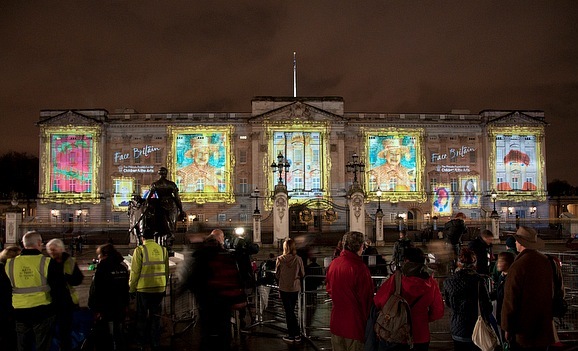 The montage image of The Queen also was showcased on the national network of BBC Big Screens/Olympic Live Sites and on over 400 digital ad screens in every major train station, shopping malls and prime roadside locations across the UK. Still mosaic images were used for merchandise items like tea towels, aprons, note cards, wrapping paper and, even bottled water. See it's zoom and pan online version here.